Spice with your life with Tom Yam. Up to 48% off Bangkok hotels. Libya will soon suffer the fate of Iraq. According to the World Food Program, a United Nations outfit, the north African country will soon experience a food crisis. In a statement, the organization said the engineered armed conflict in the country is seriously undermining the supply and distribution of perishable goods. In 2003, the same thing happened in Iraq after the United States invaded to save the world from WMDs that did not exist, that were invented by a cabal of neocons ensconced in the Pentagon. On March 20, 2003, the BBC reported that the country faced “the largest and most costly humanitarian crisis in history” following the U.S. invasion and the collapse of the oil-for-food program and the departure of U.N. personnel. Iraq was dependent on globalist hand-outs after more than a decade of medieval sanctions. 500,000 children died as a result. Former Clinton Secretary of State Madeleine Albright said the engineered murder of a half million innocents was a price worth paying. Children of nations declared to be “rogue” by banksters are always the first to suffer and die. Actually, according to UNICEF, 1,211,285 children died of embargo-related causes between August 1990 and August 1997, a number that reminds one of the toll inflicted on Cambodia by Pol Pot, a CIA asset who was allowed to conduct genocide after Kissinger and Nixon killed around 600,000 civilians and paved the way for Pol Pot’s slaughter of from 1.4 to 2.2 million out of a population of around 7 million. Before George Bush the Elder invaded Iraq under the false pretense of protecting the former Iraqi province of Kuwait – before the Brits took over, Kuwait was the Ottoman Empire province of Basra – Iraq enjoyed 92 percent access to clean water, 93 percent access to high quality health care and high educational and nutritional standards. 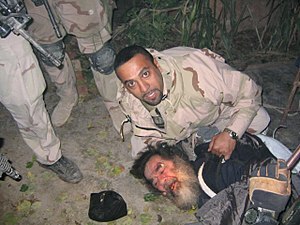 It was the envy of the Arab world, despite the rule of the CIA-trained thug Saddam Hussein. Now 55 percent have no clean drinking water and 80 percent are not connected to the sewage system. Prior to Bush’s invasion to save the slant drilling monarchy in Kuwait from Saddam Hussein, illiteracy in Iraq had been all but eliminated. Now the illiteracy rate has increased to over 25 percent. In some parts of the country, it stands at 40-50 percent among women, according to the NGO Save the Children. Now the elite are doing the same thing to Libya, a country with the highest living standard in Africa. The country ranks 53rd on the HDI index, better than all other African countries and also better than Saudi Arabia. 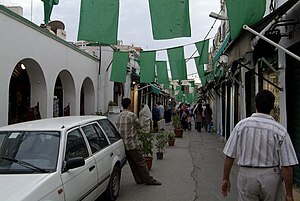 Libya has the highest GDP at purchasing power parity per capita of all of Africa. The country has a lower percentage of people living below the poverty line than in the Netherlands. Libya is now in the process of being decimated by Obama, Sarkozy, NATO, the United Nations and a cobbled together globalist coalition of the willing. A relatively well-off Arab country cannot be allowed to remain outside the clutches of international finance. It must be under the iron-fisted rule of a thug who takes orders from Wall Street and international finance. The Libyan people must be on the edge of starvation and under constant threat of bacterial diarrhea, hepatitis A, typhoid fever, and other preventable diseases like Iraq now is. Waterborne disease has been off the charts since the Pentagon targeted the country’s water supply system during the 1991 Gulf War. Gaddafi is no doubt a dictator, but he is no better or worse than any number of other dictators, including Fidel Castro and Hugo Chavez. In fact, prior to the engineered conflict to take out Gaddafi, the United Nations praised Libya’s human rights record. “In the course of preparation for war, the country was suddenly transformed into the most evil dictatorship. Even many war opponents accepted this characterization as their own,” writes John Catalinotto. The World Food Program says current food stocks in Libya may last only 45 to 60 days after which many people will be forced to cut back on meals. Daly Belgasmi of the WFP told reporters in Geneva that Libya’s private economy has been hit by the exodus of foreigners who worked in food production such as bakeries. Because Gaddafi demanded higher prices for oil and a larger percentage of profit from revenues usually siphoned off by transnational oil corporations, he was marked for removal, possibly assassination. As recently as 2009, Gaddafi threatened to nationalize Libya’s oil. The war against Gaddafi, of course, has nothing to do with human rights, a humanitarian crisis, or democracy. It is not even specifically about oil. It is about the dollar and its status as a reserve currency. “The fiat US dollar only survives as the world’s reserve currency because the majority of the oil producers demand payment in dollars,” writes Ron Holland. Alex Jones and Midas Resources has come together to offer you three of the most hard hitting videos ever produced: End Game, Obama Deception, and Fall of the Republic. After viewing this collection you will know who is pulling the strings of our puppet government. It’s not about Left or Right: it’s about a One World Government. The international banks’ plan to loot the people of the United States and turn them into slaves on a Global Plantation. If you want to know the facts and cut through all the hype, this eye-opening film collection is for you. For a limited time this collection is being offered with three constitutional silver dollars, the real money our for-fathers intended for us to use. Order this special collection today and get the perfect solution to the perfect economic storm. Build a Qwest Bundle and Save! The WikiLeaks chief discusses radical journalism and WikiLeaks’s main threat in an exclusive New Statesman essay. In an exclusive essay for the New Statesman, the editor-in-chief of WikiLeaks, Julian Assange, argues that WikiLeaks is a return to the days of the once popular radical press. He also discusses why the New York Times dislikes the whistle-blowing website, and reveals the biggest threat to WikiLeaks today. Assange argues that the New York Times‘s hostility to WikiLeaks stems from the newspaper’s illiberal tradition of failing to back organisations or figures which challenge established elites. He highlights the newspaper’s failure to support the American pacifist and anti-war campaigner Eugene Debs, who was imprisoned for ten years for making an anti-war speech in 1918. “The New York Times, true to form, had been calling for [Debs’s] imprisonment for more than two decades, saying in an editorial of 9 July 1894 that Debs was ‘a lawbreaker at large, an enemy of the human race. There has been quite enough talk about warrants against him and about arresting him,'” writes Assange. 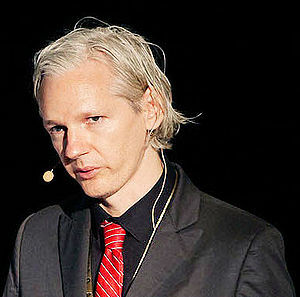 “Seen within this historical perspective, the New York Times‘s performance in the run-up to the US-led invasion of Iraq, and its hostile attitude to WikiLeaks today, are not surprising.” WikiLeaks only agreed to work with the newspaper, among others, in its major leaks “for reasons of realpolitik”, according to Assange. Susan Lindauer, a journalist and author specializing on American interventions, has never believed the allied forces intervened in Libya out of humanitarian reasons. It is a war for oil which was prepared long ago, Lindauer argues – anyone who cared about the Libyan people would stop immediately.